Festive ’14: Emma So Natural and Glove Your Body | Bright & Beautyfull! Handmade in Ireland, Emma’s So Natural line incorporates wax tart melts and small travel candles in tins, but for me, it’s alllll about the tumbler candles. Made from soy wax as opposed to paraffin, these last longer as they burn more slowly, and they are cleaner and greener, too. Essential oils provide the scent, and you can choose from seven. 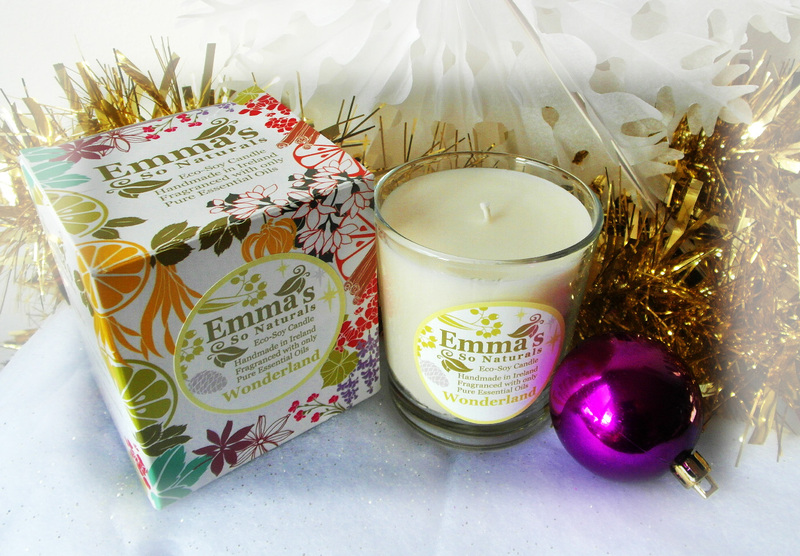 There are also seasonal choices, including Wonderland, a mix of pine, eucalyptus and benzoin. Last shipping day by courier is the 22nd! Gotta use a glove to apply the fake tan — I do know that many prefer the bare hands, but: no. 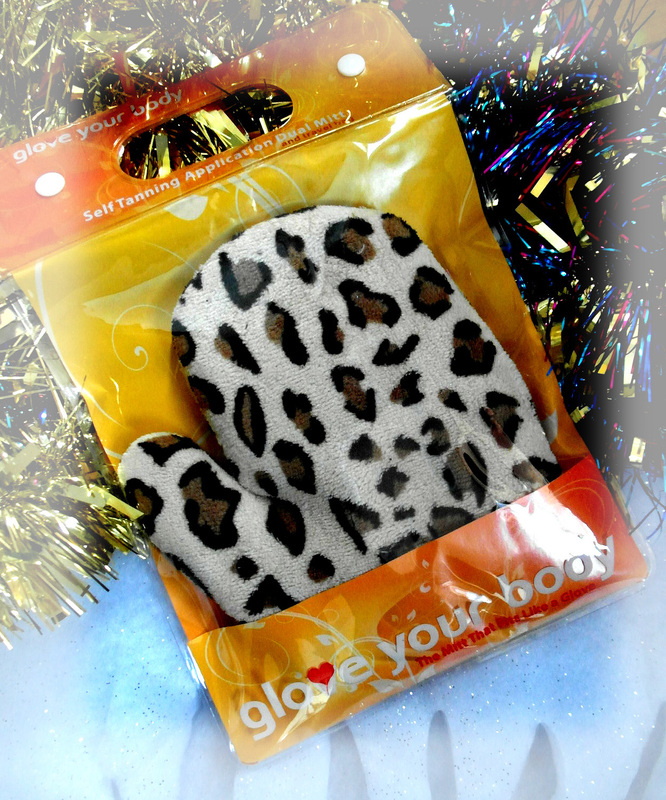 Glove Your Body’s offering looks more like a plush toy than a tanning mitt, and its many features — you’d be surprised that a self-tan accessory would have more than one feature — makes it easier to spread the product around, ensuring that your tan is more even and natural-looking. Feature One: the obviously plush surface, which helps contain the tan. Whenever I use a sponge mitt, I find that the liquid can roll all over the surface, making it hard to manage. Definitely not a problem here. Feature Two: Inside, there are finger-holders, like in a baseball mitt, meaning that it’s not going to slip and slide all over the place. Feature Three: An opposable thumb! I had no idea that it would come in so handy! Why? I just feel like I’ve got better control of the whole process because my thumb is free. All in all, if you are a serial tanner, this is the Pro Mitt. And it feel really nice, too.